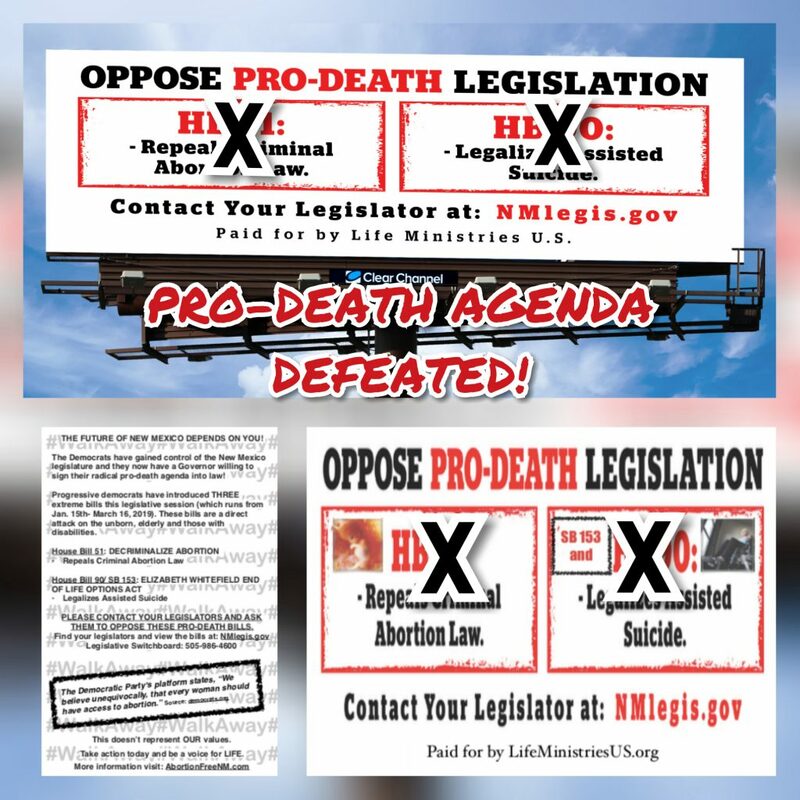 Santa Fe, NM- PRAISE BE TO GOD: PRO-DEATH AGENDA HAS BEEN DEFEATED! 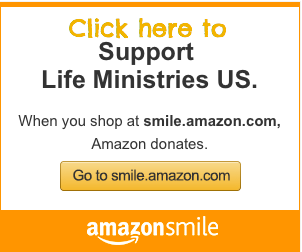 Thank you for your prayers, and action! Death has been defeated in this New Mexico legislative session! It is truly miraculous that HB51 did not pass the NM Senate floor vote today. All glory to the Lord and thanks to so many who took action this legislative session! Please like and share our ministry page on Facebook, Abortion Free New Mexico, and join us as we work to close down the last 5 abortion facilities in our state. We would like to thank all of the the statewide organizations who mobilized their base to oppose HB 51, everyone who called/emailed their representatives and testified in Santa Fe, and those who financially supported our billboard and statewide postcard public awareness campaign. Abortion Free New Mexico would especially like to thank the Bishops of New Mexico for their bold and very public opposition to HB 51. Thanks to their leadership 6 Catholic Democrats voted their faith and OPPOSED HB 51. 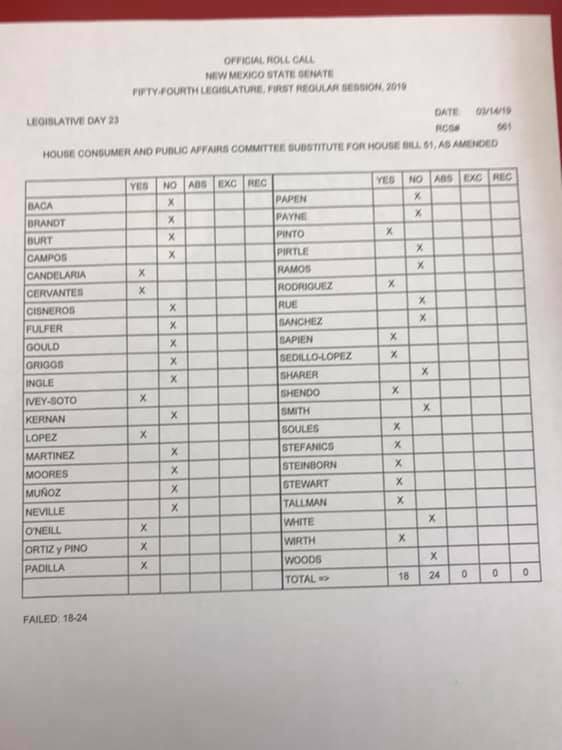 In addition Democrat Senators Mary Kay Papen and John Arthur Smith also OPPOSED HB 51 giving us 8 votes (two more than we needed) to DEFEAT it! ​Opponents of the bill are celebrating the victory. “We’re just thankful that the voices of the people of New Mexico were heard,” Tara Shaver, who works with the nonprofit Abortion Free New Mexico.